Sunday 25th February 2018 was the annual Beached Bird Survey organised by the RSPB. 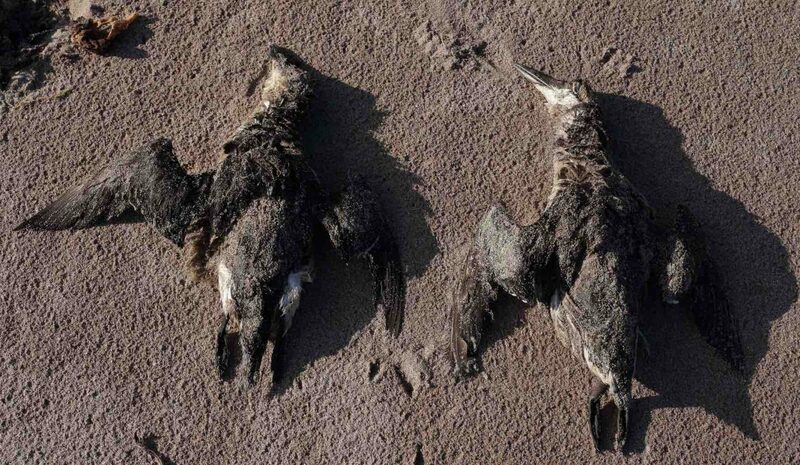 This UK wide survey of as many sandy beaches as possible is designed to record the number of dead birds on our beaches and also to note any signs of oil pollution at the same time. We had, as usual, volunteered to survey the beach at Bay of Culkein. 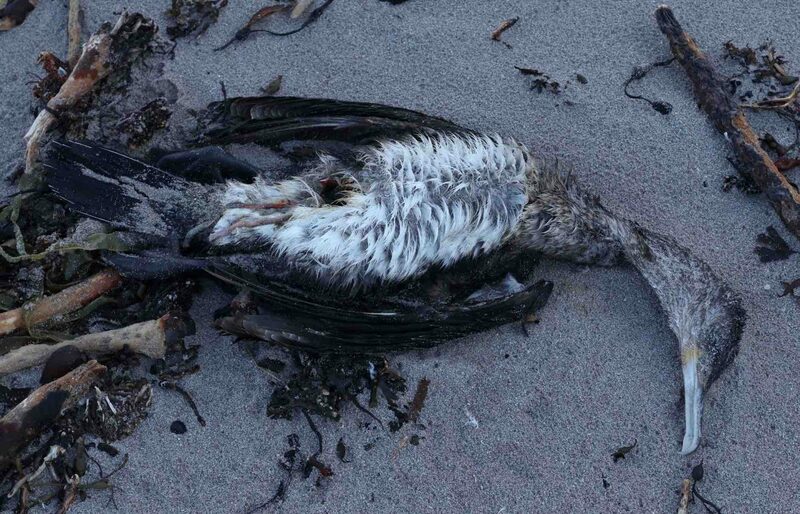 The Beached Bird survey is best carried out on a falling tide as this makes it easier to spot any dead birds lying along the previous high tide line(s). Thankfully we recorded a nil return, both for birds and oil; we did however manage to fill a large refuse sack with plastics from the beach! A return visit to the bay on 7th March, to look for live birds this time, followed several days of cold and very strong easterly winds. Our list for the day totalled 21 species including Common Scoter (Melanitta nigra); Great Northern Diver (Gavia immer); Red-throated Diver (Gavia stellata); Redshank (Tringa totanus) and Redwing (Turdus iliacus), 10 of which were feeding in the old fank at the northern end of the bay. A bit of a ‘red bird’ day! Sadly, the weather had clearly taken its toll on a large number of birds with a total of seven Guillemot (Uria aalge), six Razorbill (Alca torda) and a single immature Cormorant (Phalacrocorax carbo) all found dead along several of the hide tide lines. Most of these casualties were relatively fresh with only two or three having been scavenged. The Razorbills were all first winter birds, as was the Cormorant, which possibly suggests that they had been unable to survive the stormy weather due to insufficient fat reserves and the weather making feeding difficult. It was not possible to age the Guillemots accurately as that is not such a straightforward job. The accompanying photographs show the immature Cormorant with its white front and a Razorbill and Guillemot side by side for comparison. The Razorbill is on the left and the relatively small bill with no white line on it is the indicator of its age. The more obvious line of white feathers towards the middle of its wing also helps to identify it as a Razorbill. The longer more pointed bill of the Guillemot can clearly be seen; the brown colour of the primary feathers suggests this too was a first winter bird. A few ‘auks’ i.e. Guillemots, Razorbills and Black Guillemots do breed around the coast of Assynt but we don’t have any breeding Puffins, much to many people’s disappointment, us included! However, nearby Handa Island is where most of the auks that we see will be breeding from around May to early/mid-July and that is very likely where most of these beached birds will have hatched last year.